I’ve been lusting after the Battered Hilt on my main. Literally searching the auction house for great deals for hours at a time. I’d done the research. The best weapon I could get (sans Battered Hilt) up through the first six bosses of ICC10? The polearm in Heroic Halls of Reflection. I got it. I did. I ground that thing out like there was no tomorrow. I’d searched the auction house for close to a month and half with no luck. I came home from D&D one night to find the Elephant playing WoW, and told me to sign on quick. I thought he’d found a VoA or something, so I hopped on. He invited me to a group and came to find me at the The Filthy Animal, opened a trade window, gave me some greens for my priest to d/e and then tossed in the Battered Hilt. Anyway! I won’t go into quest details as to not spoil too much of it for those that haven’t done it and plan on doing it and don’t want to be spoiled, but I will post some shots, so be forewarned. So, here they are! 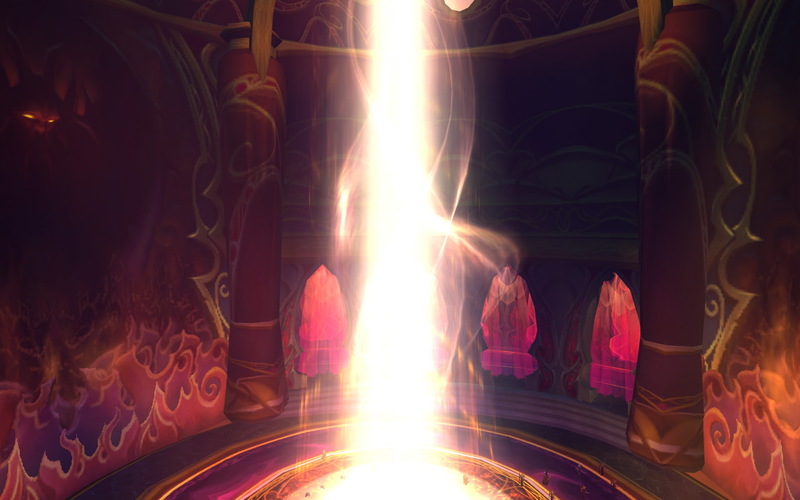 One of the first parts of the quest chain brings you into the Alliance area in Dalaran. 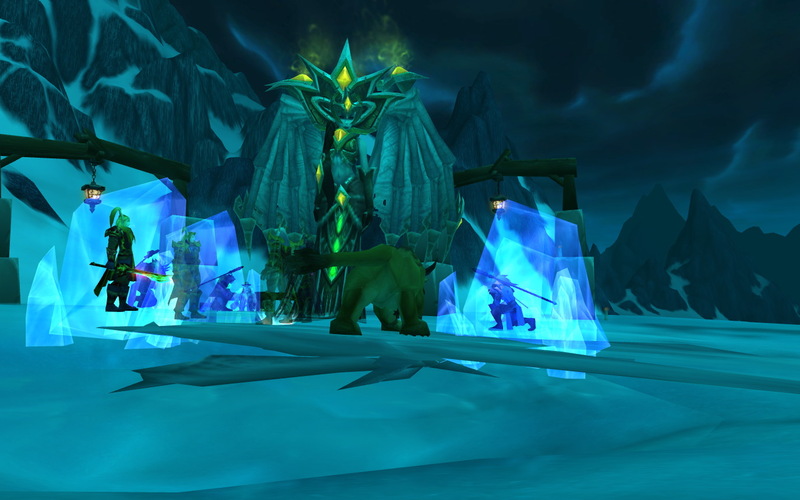 It was cool being a Bond equivalent in WoW. I even hummed the song to myself as I went sneaking around. Blood Queen Lana’thel shows up at a point in the quest chain and gives some pretty interesting details about the hilt and sword. Really cool lore stuff. The Elephant and I enjoyed this part a lot. The chain even brings you into a phased version of the Sunwell. It’s definitely awe inspiring. 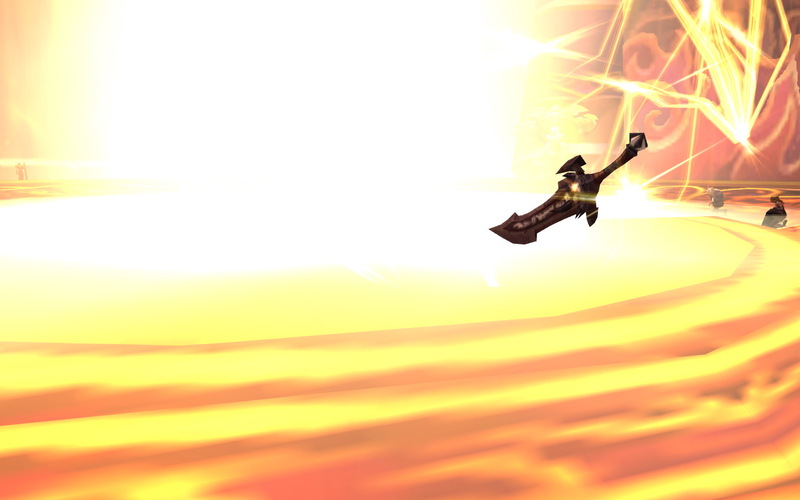 You even cleanse the sword in the light of the Sunwell. Along with some interesting dialogue from the NPCs. 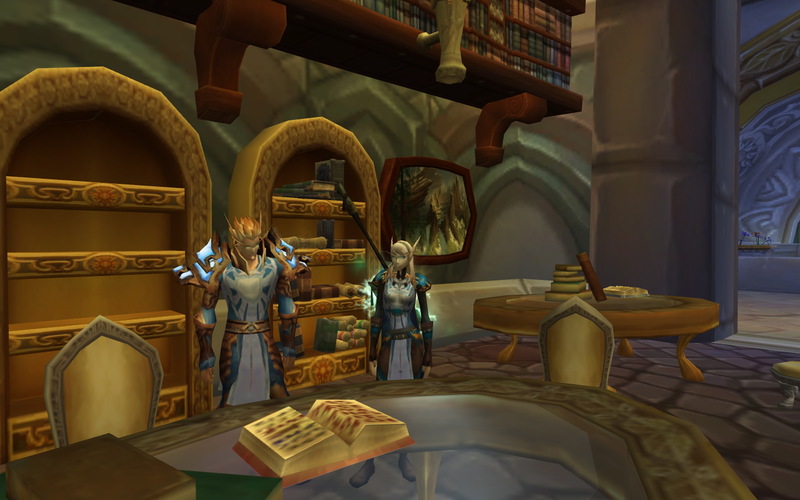 I hear that if you’re a Blood Elf the events inside play out a little bit differently.